Benjamin and Melody Pahlow have been missionaries helping widows with children in Uganda since 2003. While away in Africa, they still had to pay the bills in their 2,800 square feet home while away. Recently, they decided to sell everything they own and buy a tiny house so they have next-to-no bills while away. They commissioned Tennessee Tiny Homes to build their tiny house and had it delivered to Frisco, Texas. 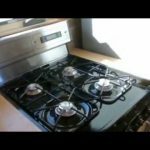 Ben was kind enough to give us a video tour of his, Melody's and their daughter hope's tiny house dubbed “Casa de la Esperanza.” Please consider donating to their cause by helping a family in need at http://www.africafamilyrescue.org/give. 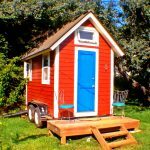 For tiny houses listed for sale, please visit http://tinyhouselistings.com.